Playgro Puppy Gift Pack includes 4 developmental toys in 1 fantastic gift pack. 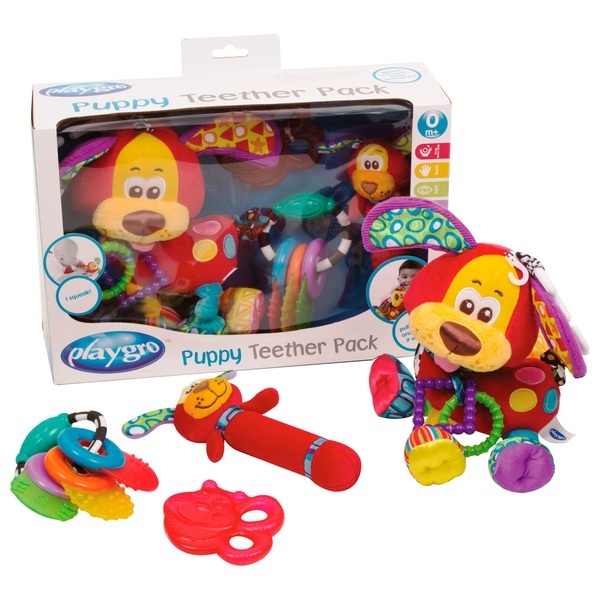 The Puppy Teether Pack provides endless opportunities for babies to learn, grow and discover. This pack is the ideal gift featuring toys to stimulate visual and tactile development and soothe sore gums with the cooling water bee teether or the varied textured surfaces of the teether keys.